A 17-year-old Absegami High School student has been arrested for making two bomb threats at the school last week. Students were evacuated via early dismissal at approximately 1:15 p.m., and faculty was evacuated from the building. The male student was charged with two counts of Terroristic Threats, two counts of False Public Alarms, and two counts of Criminal Mischief. He has been suspended from school and placed on home electronic monitoring pending a Family Court hearing. The investigation was conducted by Galloway Township Detective Jason Kiamos with assistance from Absegami School Resource Officer Richard Huenke and Security Officer Joseph Blazo. The Police Department reminds all parents and students that these types of incidents will be thoroughly investigated and prosecuted. In addition any person who causes such false public alarms will be held responsible should any public safety personnel be injured while responding to investigate such incidents. 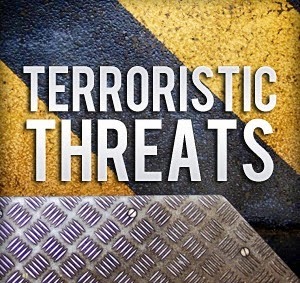 Why were parents and the students not notified after the first threat on Thursday? Clearly the threat that this student made was serious enough to warrant him being arrested for that threat as well (in addition to the threat made on Friday). This is another question a lot of people have in addition to why it took four hours to evacuate the school.